HOW LONG DO GIRAFFES LIVE? Facts about these animals! | How Long Do Animals Live? There are many things that make giraffes unique and extraordinary animals, but most people know giraffes as the tallest land mammals on our planet. Male giraffes can reach 5 meters and females are just a little bit shorter. Another thing that makes them unique is their extremely long legs and neck. Their small head has between two and five small horns. These horns are covered by a thick layer of skin and they are bigger in males. Giraffes weigh more than 1000 kilos. This means that they have to eat a lot to preserve their weight and keep functioning properly. The things they eat have a direct impact on their lifespan. If they are able to find adequate food on a regular basis they can live longer. It is always difficult to tell how long to wild animals live because their life expectancy is affected by many different factors. However, scientists that are specialized in studying giraffes agree that their lifespan is between 20 and 30 years. There are reports of giraffes that lived in zoos and sanctuaries for more than 35 years. Food: What do giraffes eat? Giraffes enjoy eating leaves of trees. They consume leaves from a wide range of trees, but it seems that acacia tree leaves are the most popular types of leaves among giraffes. This is quite natural because these leaves have the necessary nutrients for giraffes. In addition to leaves, giraffes also consume flowers, seed pods, and even fruits. 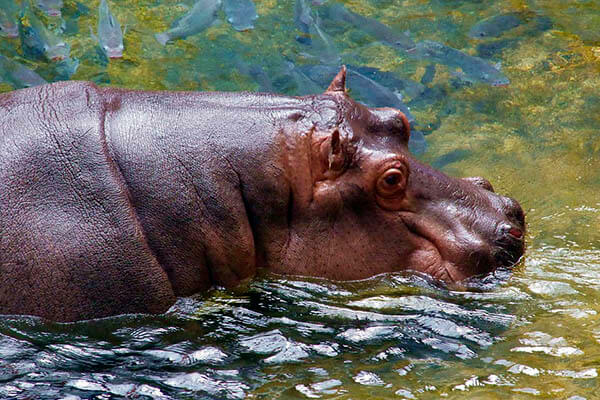 They have very strong and long tongues (up to 45 cm) which help them gather and process food. There are eight different subspecies of giraffes and most of them live in the semi-desert areas in and around central Africa. These subspecies have a similar life expectancy. We should highlight the fact that even though these animals are huge, they do have natural enemies that affect their lives and how long they will live. Giraffes are very fast animals and they can run at 50 km per hour for a relatively long period of time. The most dangerous predator for giraffes is the lion. When the situation is normal, the lion usually can’t fight the giraffe. However, lions usually attack when giraffes are drinking fresh water because when they do this, the position of their body makes them very vulnerable. But, this is the case of adult giraffes. When it comes to calves, the statistics shows that nearly 50% of giraffe calves are eaten by lions, hyenas and other similar predators. So, only half of them reach adulthood which makes their average lifespan lower. Giraffes are fascinating animals from the moment they are born to the moment they die. 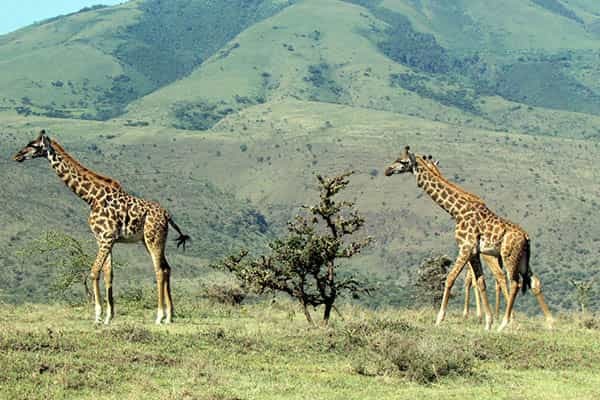 They are extremely tall, strong and live interesting lives in a relatively wide space around Africa. If they are not killed by natural predators and illegal hunters in the first years of their life, they can live up to 30 years.